Lithgow’s proximity to Sydney, its enterprising spirit, relaxed lifestyle, well-serviced towns and available workforce make the region the perfect place to do business. Major road and rail infrastructure with direct rail services to Sydney. Excellent proximity to the Central West with a potential catchment of over 230,000 people. Significant clusters of engineering and knowledge based companies plus an established manufacturing sector. Only 2 hours drive from Sydney. A range of commercial, industrial, educational and professional services. A low cost business environment. Access to a skilled, loyal and available labour force. 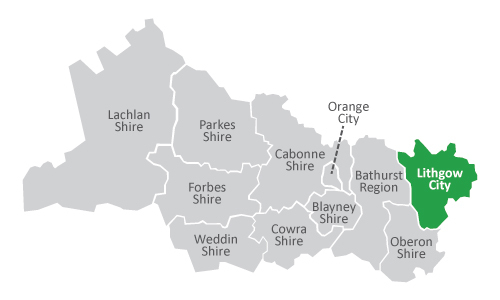 The Lithgow economy represents approximately 16% of the Central West regional economy. Between 2006 and 2011 the LGA experienced population increase of 2 %. The local economy continues to grow with enterprising specialist and micro businesses in tourism, primary production and creative industries. 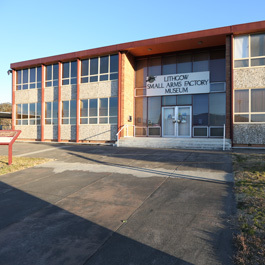 Large employers in Lithgow include Centennial Coal, Energy Australia, Ferrero (confectionary manufacturers), Emirates Wolgan Valley (resort and spa), Lithgow Hospital and Thales (small arms). Excellent tertiary educational facilities are available including University of Western Sydney Lithgow College, University of Notre Dame, Lithgow Rural Clinical School. 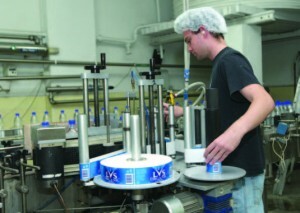 Lithgow’s cool climate is highly suitable for certain specialist manufacturing markets including the confectionery sector as demonstrated by the presence of Ferrero Australia since 1976. The climate would also be suitable for secure electronic data warehousing operations. Agriculture is represented by a small number of larger hectare pastoral land holdings, as well as by many small hectare, rural lifestyle blocks which contain a wide range of home based primary industries. Cattle, sheep and poultry production are the key primary agricultural enterprises. Cattle breeds produced in the area include Angus, Belted Galloway, Charolais, Herefords, Limousin, Short Horn, Speckle Park and Wagyu. Secondary and tertiary primary industries such as goats cheese and olive oils are also establishing in the Lithgow area with products being sold to both local and export markets. 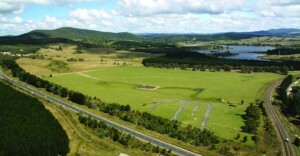 The pine forests around Lithgow could also support the development of a niche exotic mushroom industry similar to those found in neighbouring Oberon. Lithgow is already home to a well established Christmas tree plantation and an increasing number of small boutique initiatives are developing in the Lithgow area including award winning goats cheese, alpaca and lambs wool, olives and other home grown products. Considerable growth in mining and power generation is providing a range of opportunities for employment and growth in support services. A variety of manufacturing industries currently exist with opportunities for growth in areas such as food production, confectionery, fabricated metal products, agricultural and mining machinery. 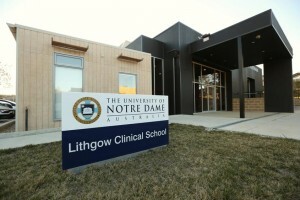 The establishment of the University of Notre Dame and the University of Western Sydney campuses provide opportunities for associated services. 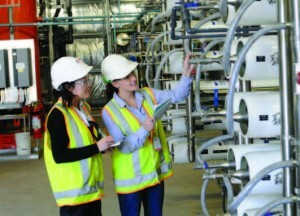 Affordable rents, available workforce and reliable broadband make Lithgow an ideal place for specialist industries such as transport hubs, knowledge based industries, small/home based businesses, call centres and textile industries. With six National Parks, many State Forests, fascinating heritage attractions, established events and festivals, and a diversity of creative and cultural practitioners, the opportunity for growth in these sectors is enormous. Artisan food producers – saffron, chocolates, baked products, olives, hazel nuts, condiments, fruit and vegetables. Creative industries – IT, graphic design, marketing, craft, photography, candles, soaps, music and performance. Financial Services, employment and training – accounting and conveyancing, industrial and mining sector labour hire and training services. Tourism services – bed and breakfast, short term accommodation, niche recreation providers. Mainstreet Façade Restoration Program – Council will provide up to $2,500 including GST, in matching funds for approved façade improvement works to buildings located in specific town and village centre streets in Lithgow, Wallerawang and Portland.